Saborea Segovia, integrated in Saborea Spain, stands as a Product Club with international projection in which the entire business environment dedicated to the gastronomy of Segovia and its province can participate. Promoting Spanish gastronomy beyond our borders is the goal of Saborea Spain, which is positioned as the first national platform to promote tourism from gastronomy and transform gastronomic products into tourism experiences. Among the advantages of belonging to this product club, is the participation in national and international fairs and presentations attended by Saborea Segovia from Saborea Spain. 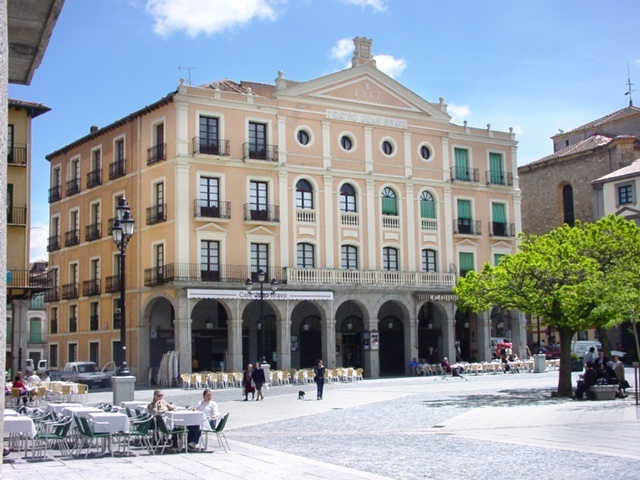 The City of Segovia, the Municipal Tourism Company, Prodestur Turismo, Alimentos de Segovia are part of Saborea Segovia, the latter two belonging to the Diputación de Segovia and the Hotelier Industry Association. Companies classified in the categories of restaurants and cafeterias, delicatessen shops and producers, may obtain the seal of Saborea Segovia after an evaluation carried out following the criteria established by Saborea Spain. Taste Spain has the support of the Secretary of State for Tourism and currently groups a total of 18 destinations, in which Segovia is located.